How to Obtain NECO Tokens to Check SSCE, BECE and NCEE Results Online. 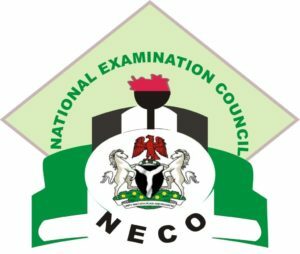 How to Obtain NECO Tokens to Check results: Candidates have been asking, how can I buy the National Examination Council Token so as to check my result? Below are the laid down method on how to obtain NECO Tokens to Check SSCE, BECE and NCEE Results Online. Following the recent update the council announced on National Examinations Council (NECO) GCE Nov/Dec Result, they made it clear that the NECO result checker cards will no longer be used to check NECO GCE results rather the candidates will have to obtain their NECO Tokens that will be used to check their results online. Candidates should know that the National Examinations Council (NECO) new Results online system provides a better way to check all NECO examination results. As soon as the results are out, it will be made available via NECO Results system (www.result.neco.gov.ng). Read below for more information. • JAMB 2019/2020 Registration Form, Exam & closing date. Now you can also share this token with your family, schools, organisations and as many people who wish to see your SSCE, BECE and NCEE results. 2 1. You Are To Register on NECO Results Online System. 3 B. Use This Procedure To Obtain Token. 4 C. Use This Procedure To Check Your Result. 1. You Are To Register on NECO Results Online System. • Provide the required data in the space and click on register. • NECO will send an Activation Email to your registered email address. • Open your email and click verify. B. Use This Procedure To Obtain Token. • Enter your Email Address/Phone number and your password in the required columns. • You click on the Login button. • Enter the number of token you need and click on Pay now button (NB: a token is N500 + N50 service charge). • Now click on Proceed to pay button to pay for the token on REMITA platform using bank or card. C. Use This Procedure To Check Your Result. • Select your exam type. • Fill in your Token Number and registration number in the space provided. • Then, You click on check result. Please Share this information with others by clicking on the Facebook Share Button.